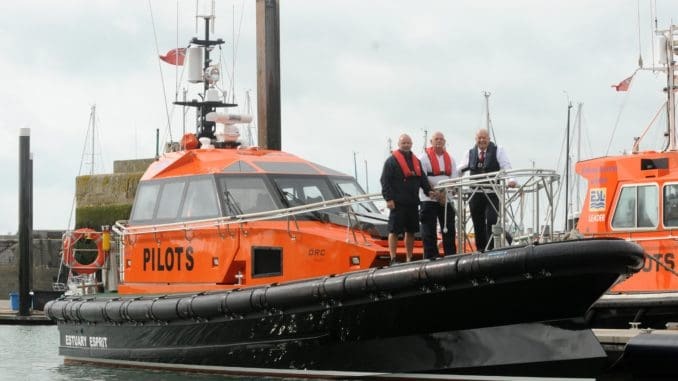 A new £1.2 million boat that will work at Ramsgate and Sheerness has just come into service as part of a fleet of ‘cutters’ that are busy in the Thames estuary every day. Peter Steen, PLA director of marine operations and ESL operations director,said: “The Thames and Medway make up one of the busiest port complexes in the UK. A reliable fleet of manoeuvrable boats is essential to give our customers the confidence that we can get expert pilots out to their ships, day in, day out, in all but the very worst weather conditions. Andrew Thompson, ESL operations manager said: “With ongoing development of marine technology, the ‘ORC’ design offers a range of benefits. The beak-shaped bow allows it to cut through waves, rather than ‘slam’ into them; and the improved hull lines minimise spray, as well as giving those on board a more comfortable ride. It is quieter, lighter, stable in sea conditions and more manoeuvrable, making it safer and more fuel efficient. This boat is already tried, tested and its success proven, with two other ORC design vessels already in service with us.